We’re so obsessed with her. 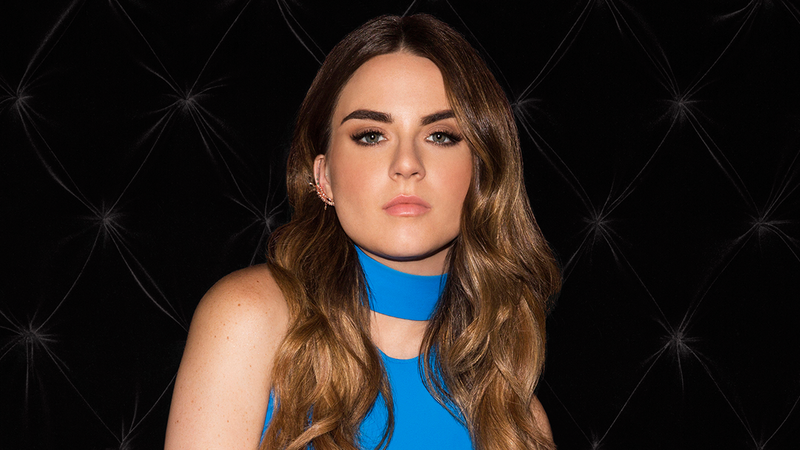 As if we needed another reason to love R&B singer-songwriter, JoJo, a new video has been released showcasing her gorgeous acoustic cover of Selena's “Dreaming of You” from a performance Monday night in Corpus Christi, Texas. The southern coastal city was Selena’s hometown, where she was tragically killed in 1995 by a former friend and employee. “Dreaming of You” was the title track on her 1995 album, released posthumously. Inspired by a visit to a memorial for the late singer, everyone’s favorite “Leave” musician performed a beautiful rendition of Selena’s hit for elated concert goers in attendance. The moment became a crowd-favorite from the 25-year-old’s set, and fans took to Twitter with videos and praise for the popstar’s tribute. Ok Jojo singing Dreaming of You on snapchat has me in tears. One of my fave Selena songs. Her voice is so beautiful. JoJo’s most recent album, Mad Love., was released earlier this month after an ongoing battle with her previous record label. It’s her first full length album in ten years, and features duets with Alessia Cara, Wiz Khalifa, and Remy Ma. Absolutely overwhelmed with gratitude for the outpour of love and support surrounding my first OFFICIAL album in 10 years. Thank YOU. From the bottom of my heart. For letting me be myself. For seeing your own story of resilience in mine. For giving me the strength to continue to pursue what I feel I'm meant to do. Although I started as a little girl, I truly believe this is just the beginning. Please continue to share the album and spread the word. I have MAD LOVE for what I get to do. And for you. See ya on the road soon. Love, Jo. Make sure to track JoJo on Bandsintown so you don’t miss out on awesome covers like these when she comes to a city near you.